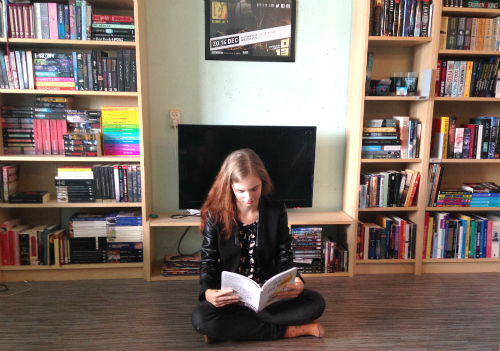 Literary fiction has the reputation of being high-brow, inaccessible, and overly complicated. 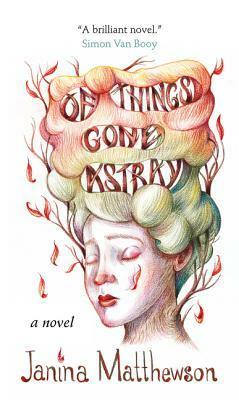 Of Things Gone Astray proves that the genre can also be funny, thought-provoking, clever, sad, and relatable. One day, a wall of Mrs Featherby’s house disappears. Another woman’s sense of direction fails so spectacularly that she can’t even cross the street without getting lost. A man’s job vanishes. A girl in the airport grows roots. All of them lose something that was important to them, that they depended on or hid behind. The idea behind Of Things Gone Astray could have easily become a preachy message on loss and what’s important in life. Instead we follow a group of people that all have the bizarre experience of losing something or someone, without there being an obvious resolution or moral to the story. There is no light-bulb moment of “A-ha! I didn’t spend enough time with my family!” or any simplistic solution to the problems they face. All of the characters have to take on themselves, with varying degrees of success. Of Things Gone Astray is such an interesting mix of elements. On one hand we have the surreal elements, like a wall disappearing overnight. On the other hand the reactions of the characters to these situations are pragmatic – the wall of Mrs Featherby’s house is indeed gone, and all characters are left scratching their heads on how something like this could ever happen. Concepts become reality in Of Things Gone Astray. The book has extremely short chapters, some of them barely two pages long. There are about six or seven main story lines, all of which cross and intersect each other. Although the narrative was fragmented in a way, it was never difficult to follow. The characters face such unique predicaments that it’s impossible to mix them up. The short length of the chapters made for an extremely quick read. I read the entire book while on a train, and the frequent chapter breaks were useful to look out of the window and daydream. The theme of the book, of losing things and being lost, really struck a chord with me. I really rooted for the characters, hoping they would find a way. The ending didn’t give much answers, but instead hopefully implied changes. Of Things Gone Astray was one of those books for me that find you at the right place and the right time.